Louisiana is known for combining French, African American, German, Cajun and Native American cultures together into one big, delicious culinary melting pot. Tasso ham, essential for some dishes, has been marinated and then smoked, giving it a spicy, smokey flavor. This ham can be added to shrimp and grits, pastas and gumbos, and stuffed into shrimp and fish. 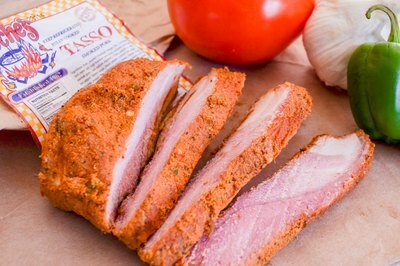 Tasso may not be available in your area, but you may be able to order it online or use a substitute. Andouille sausage is a spicy smoked Cajun sausage that is usually used in jambalaya and gumbo. Comprised of pork, pepper, onions, wine and seasonings, andouille's origins may be French or German, but in the U.S., it's known as a Cajun sausage. The French and German varieties of andouille are much less spicy than the Cajun style, but they all contain similar ingredients. To bump up the spicy flavor, try adding a pinch of cayenne pepper to the dish, or a few dashes of hot sauce. 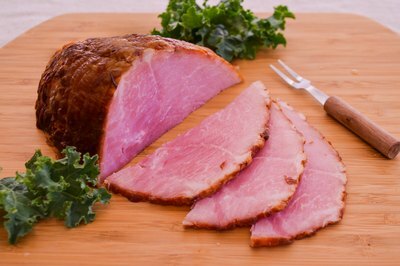 Every deli has smoked ham and deli counters can slice it thick if you need chunks of tasso ham substitute for your dish. Black Forest ham is a German ham that has been smoked over pine and fir, and has a slightly sweet but smokey flavor. It's not spicy like tasso ham, but will do in a pinch. Canadian bacon is more like ham than bacon in texture and flavor. 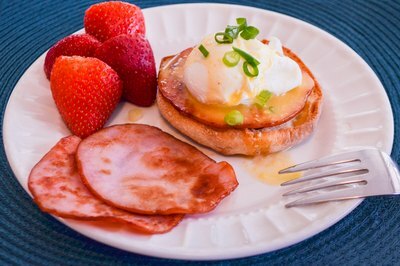 It is made from pork loin that has been cured and smoked, and is used most often in recipes for eggs Benedict. Find Canadian bacon in the packaged deli meats section in the grocery store. It is usually pre-sliced into small rounds. Because Canadian bacon has the smokey component that mimics tasso ham, but is not spicy, try sauteing strips of the ham in a skillet with cracked pepper and fresh garlic before adding to your recipe. Spicy chorizo, which hails from Spain and Mexico, has plenty of spice to stand in for tasso ham. Mexican chorizo isn't smoked, but the Spanish version is made from smoked pork, so it has more of tasso's flavor profiles. Because the sausage has a high fat content, you may need to cook it before adding it to the dish.